In order to avoid a sudden failure of your hot water system when it’s needed the most, it’s necessary to address the associated problems sooner rather than later. As the Sydney plumbing experts from Roselands to Bankstown, Revesby, Peakhurst and Hurstville, we’ve compiled a list of the top signs of a malfunctioning hot water system, so you can continue to enjoy nice hot showers. If you turn on your hot water and see water that is discoloured, it may be because you need to schedule a hot water system maintenance appointment with a local plumber. Water coming out of your taps and shower should be crystal clear — not brown, murky, or cloudy. A local Sydney plumber will be able to determine if the discoloured water is caused by your hot water system or some other type of plumbing issue, such as rusty pipes or sewer problems. If your hot water system is to blame, the plumber will conduct a brief hot water maintenance check and get the system back up and running properly. It is quite normal to need to change the thermostat on your hot water system occasionally, to help you heat up or cool down the water. However, if you need to do this on a regular basis or if your water is not heating up to the temperature you want, it could be a sign the system is malfunctioning and is on the way out. If you try to use hot water but nothing comes out, the heating element on the hot water system may be broken. In most cases, replacing the heating element will fix this problem, but not always. In some situations, even replacing the heating element will not fix it, which means the entire hot water tank will need to be replaced. 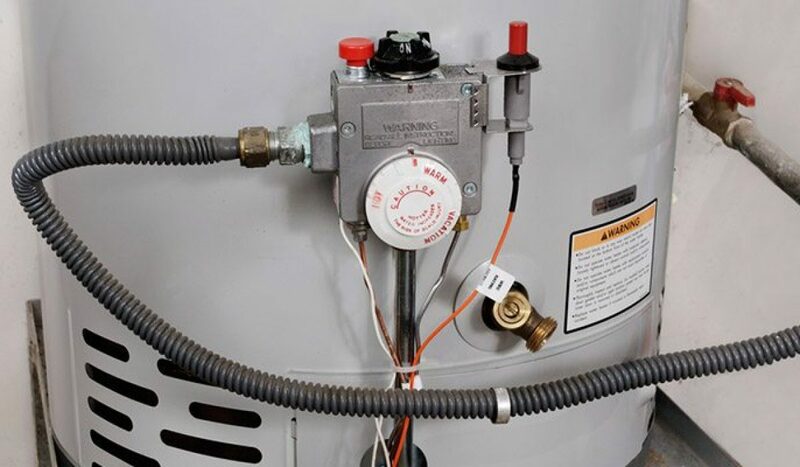 A gas heater service from Plumbing Central Sydney will provide you with a good indication of the health of your water heater. Hot water tanks are supposed to be silent, so if your system is banging or rattling, there are a few issues. Noises coming from the hot water system may be due to a build-up of dirt and debris within the system or because of a broken heating element. Most of these problems can easily be avoided or prevented by scheduling a system maintenance check. If you notice moisture around your hot water system, you may have a small leak or a fracture in the tank. As the metal heats, it expands and if there are slight fractures, water may leak from the tank. Once the metal has cooled the inner tank will stop leaking.